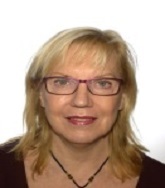 Karin Larsson is a Professor in Inorganic Chemistry at the Department of Materials Chemistry, Uppsala University, Sweden. She received a PhD in Chemistry in 1988. The research was directed towards investigation of molecular dynamic processes in solid hydrates by using solid state NMR spectroscopy. The scientific focus is on interpretation, understanding and prediction of the following processes/properties for both solid/gas interfaces, as well as for solid/liquid interfaces; i) CVD growth, iii) interfacial processes for renewable energy applications , and iv) interfacial processes for e.g. bone regeneration (incl. biofunctionalisation of surfaces). 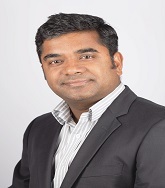 Dr. Oommen Varghese did his PhD in organic chemistry from Uppsala University, Sweden. After his PhD he changed his research area towards biomedical science that combines different disciplines. In 2016, he was promoted as Associate professor at Uppsala University. The focus of his research is regenerative medicine and targeted drug delivery, bridging synthetic organic chemistry and biotechnology. His research interests are in the fields of designing functional polymers and biomaterials for tissue engineering, drug delivery and nucleic acids therapeutics. He authored several peer reviewed articles and book chapters. He has also filed several patents and is a co-founder of a spin-off called ‘Uppsala Therapeutics AB’. Bernabé L. Rivas has completed his PhD at the University of Concepcion (1980) and postdoctoral studies from Tuebingen University, Germany with Humboldt Foundation Fellows (1989-1991). He is the Vice Rector of the University of Concepción. Leader of the research group about Synthesis and Applications of -Functional Polymers. He has published more than 400 papers in reputed journals, 29 chapter of books, h factor 34, and has been serving as an editorial board member of journals. 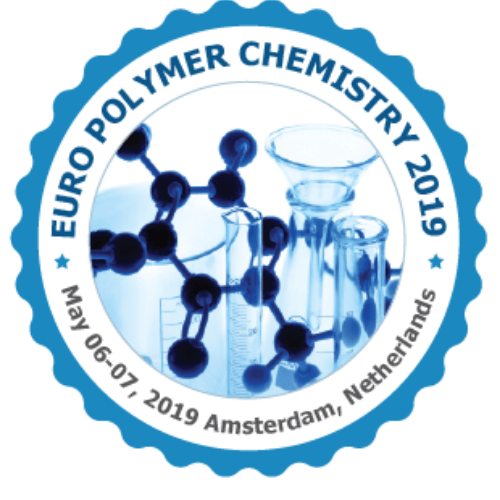 Synthesis and Applications of -Functional Polymers, Polyelectrolytes, Resins with Retention Properties for Pollutants Ions.–Polychelatogens in combination with ultrafiltration membranes. Polymer-metal complexes as biocides. Nanocomposites from polypropylene and biopolymers. 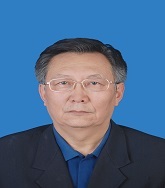 Tien-Yau Luh obtained PhD degree from the University of Chicago and did his postdoctoral research at the University of Minnesota before joining the Chinese University of Hong Kong in 1976. He returned to his Amma Mater, National Taiwan University in 1988, where his is now NTU Chair Professor. He has published more than 270 papers in prestigious chemistry and biomedical journals and served as a member of advisory boards of several reputed chemistry journals. Dongmei Cui has completed her PhD from Changchun Institute of Applied Chemistry, Chinese Academy of Sciences and postdoctoral studies from Riken (Japan). 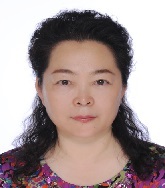 She is the full professor and holder of “A hundred talent scientists programm” of Chinese Academy of Sciences, a group leader of Rare-Earth Organometallic Chemistry and Catalysis. She has published more than 180 papers in reputed journals and claimed more than 40 patents. 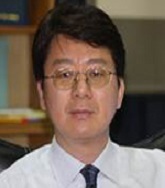 TAO TANG has completed his PhD in 1991 from Changchun Institute of Applied Chemistry (CIAC), Chinese Academy of Sciences. He is a full professor of polymer chemistry in CIAC. He has published more than 230 papers in reputed journals. He is a professor at Rubber Technology Centre, Indian Institute of technology Kharagpur. His research areas comprises Tailor-made polymers via Controlled Radical Polymerization Block (AB & ABA) & graft copolymers Smart and self-healing polymeric materials Tailor-made polymer nanocomposites Thermoplastic elastomers (TPE) Polyurethane Tailor-made modification on elastomers He got MRSI Medal by Material Research Society of India (MRSI) (2013). 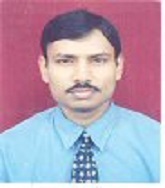 He also got Fifth Polymer Foundation Award by Professor Sukumar Maiti Polymer Award Foundation (2012). He has numbers of publications in reputed international journals. Dr. Sanboh Lee has been endowed Tsing Hua Chair Professor in the Department of Materials Science and Engineering, National Tsing Hua University. His previous affiliation was Xerox Company. 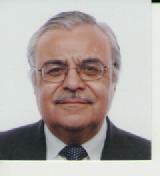 He was a visiting professor at Lehigh University and National Institute of Standards and Technology. To name several of those awards, he was the recipient of 1998 Roon Foundation Award from Federation Society of Coating Technology. He served as an award committee member, TMS. 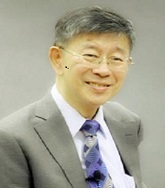 He awarded Fellows of ASM in 2004 and MRS-Taiwan in 2009. He published 250 articles in peer-reviewed journals. Professor Qing Chang graduated from the Research Center for Eco-Environmental Sciences, Chinese Academy of Sciences, and obtained his MD. He is currently a professor at the School of Environmental and Municipal Engineering at Lanzhou Jiaotong University of China. He has been active over 40 years in his field and has been an investigator as the leader to propose, carryout, manage and finish various research project. He has authored over 150 papers published in peer- reviewed journals and four books published by Chinese publishers and one book by Elsevier Inc. He was awarded three prizes by Chinese government for his contribution to science and technology. 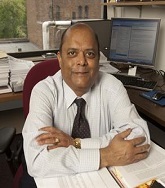 Prior to joining the faculty at Washington University in 2001, Professor Agarwal was the Chair of the Aerospace Engineering Department at Wichita State University from 1994 to 1996 and the Executive Director of National Institute for Aviation Research from 1996 to 2001. From 1994 to 2001, he was also the Bloomfield Distinguished Professor at Wichita State University.